Police officers set up speed traps as a way to catch those who speed through larger cities and small towns. If you go even a few miles over the posted speed limit, you might walk away with a $100 ticket or an even higher ticket. 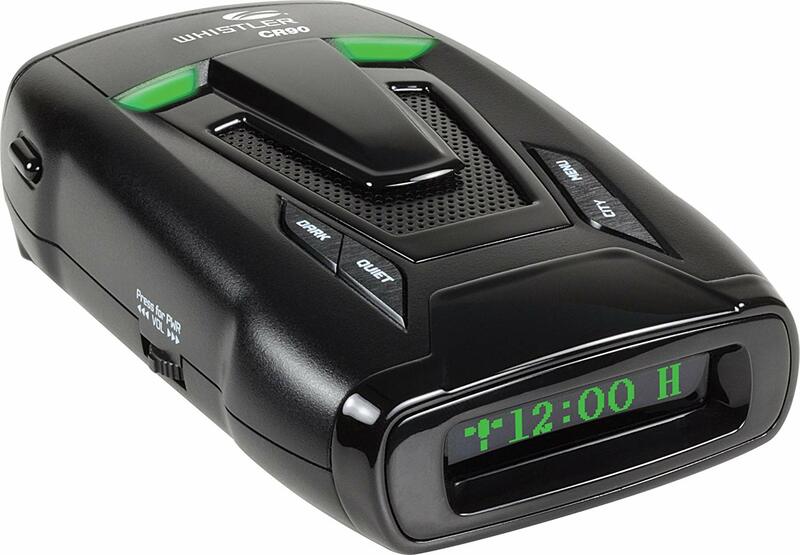 Instead of cutting back on your speed, you can install a radar detector like the Whistler CR90 to keep yourself safe. The Whistler CR90 radar detector is a compact little unit that can help you control your speeding and avoid the cameras and traps ahead of you on the road. Its best feature is that it can now identify and alert you of speed and other cameras located on traffic lights as well as speed traps. Unless you spend a lot of time driving in Mexico and other countries, you'll find that the Whistler CR90 is a solid radar detector. Designed for use in North America, this device can monitor for the laser bands and other types of bands used by law enforcement in Canada and the United States. Though you may want to purchase the optional intelligent cord that Whistler makes, the CR90 will work perfectly well without it. The Real Voice alerts used by this radar detector will make driving a more enjoyable experience. You'll no longer jump because of a beeping or screeching sound in your car. Those voice alerts sound just like a trusted friend chatting with you on the highway. Capable of use on both the highway and in crowded cities, this radar detector comes with different built-in filters that will block out the lasers and signals that might affect other radar detectors. With the Whistler CR90, you can drive at the speed that you want all across the country without worrying that you might stumble across a speed trap or camera. Not your cup of tea? Click here to see other models we have reviewed!